Author: Sands, Lynsay Set In . . . Okay, so Vincent's had four hundred years to perfect his kissing skills, and he does look rather tempting when he runs around the house shirtless. He's also charming, protective . . . did we mention he can kiss? 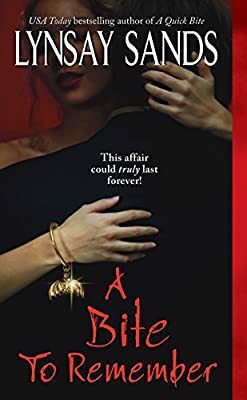 Jackie needs to be on her guard, or else she'll have to come up with a new rule: If you're going to fall in love with a vampire, make sure it's a bite to remember.